Are the '80s Missing From Your Collection? It was a memorable decade, and now surprisingly, a quarter of a century has passed. The U.S. ended the Cold War with Russia, Madonna and Michael Jackson were heard on the airwaves, and E.T. and Indiana Jones graced the silver screen. 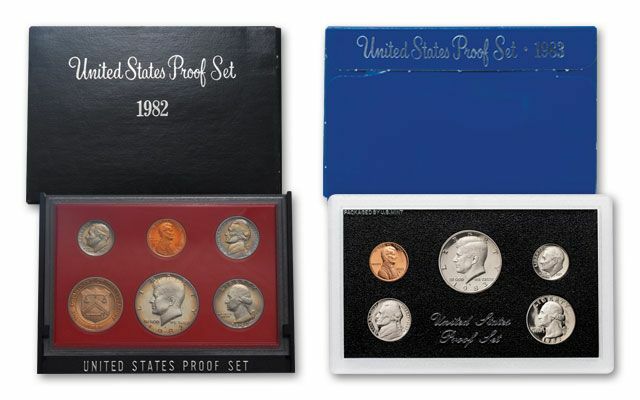 Many changes occurred, but one thing stayed the same: the U.S. Mint continued to produce quality proof sets. 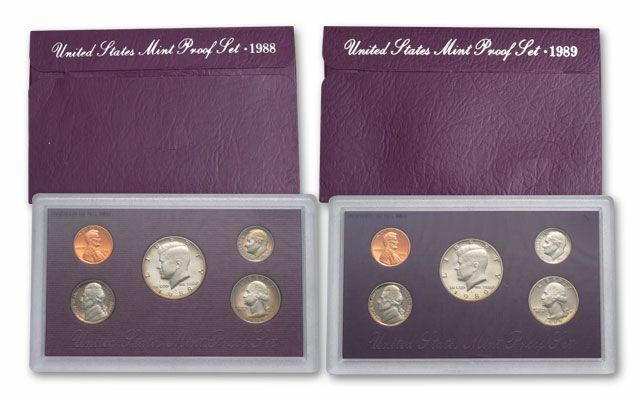 Each proof was struck at the San Francisco Mint, and bears the “S” mintmark. 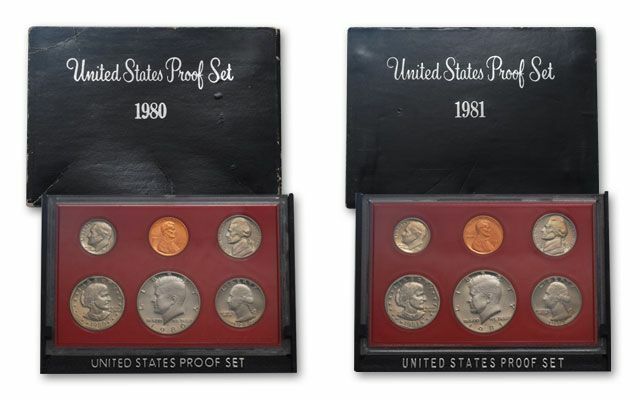 This set contains 52 proof coins featured in U.S. 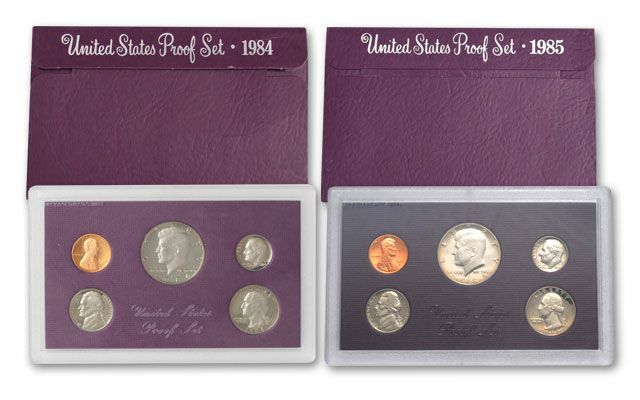 Proof Sets released from 1980 - 1989, that’s 10 sets in all. Each year contains: One-Cent, Five-Cents, 10-Cents, 25-Cents, and One Dollar (in 1981) - all at one very special price. 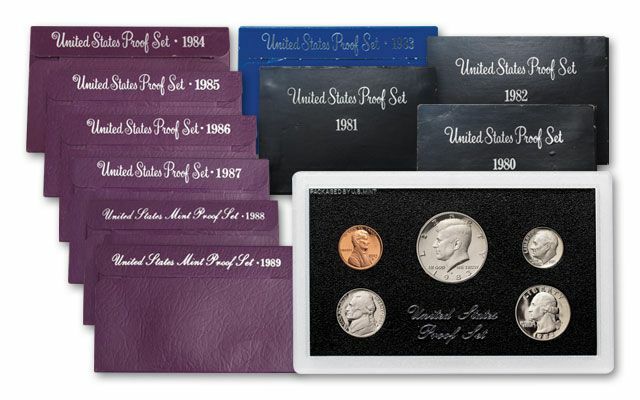 Included is the final year (‘81) the Susan B. Anthony Dollar was ever issued in a Proof Set, the 1986 Key-Date set (collectible due to its small mintage) and the Kennedy Half Dollar, which was not issued for circulation in 1987. 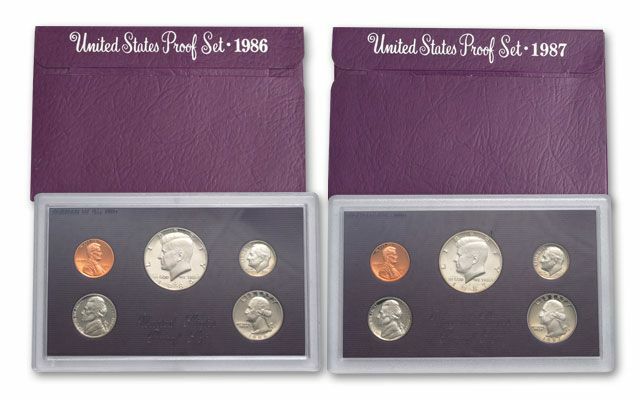 Each set comes housed in its original government packaging, just the way it was issued from the mint. Three decades is too long to wait, get your hands on this set today!